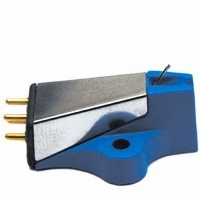 Entry-level MC cartridges have a new champion. It is called TALISMANN. 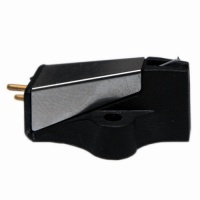 With this completely new cartridge design Clearaudio have established another benchmark which offers the enthusiast unbeatable performance for the price. 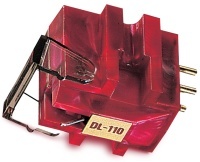 The resolution and dynamic range, the full-bodied weight and warmth, and the shimmering brilliance sets standards that even higher priced cartridges from other manufacturers cannot reach. 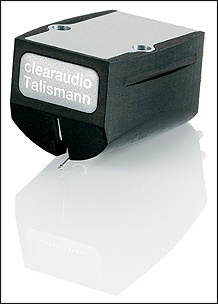 The TALISMANN is designed using clearaudio's "Ultimate refinement" philosophy. Painstaking care is taken to manufacture with remarkable consistency, which explains the attractive retail price. 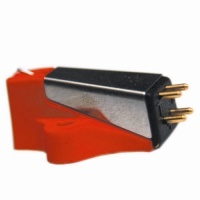 The innovative ideas gained from many years of designing and manufacturing cartridges are combined with specialist techniques used in musical instrument manufacturing and are applied with German precision engineering and craftsmanship. The hand polished ebony tone-wood body is slightly rounded, which leads to a resonance free construction. 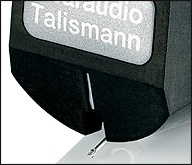 High impedance together with high output voltage ensures noise free musical reproduction. The ruler-flat frequency response from 20Hz to 20kHz provides solid realistic bass, uncoloured midrange and natural high frequencies.